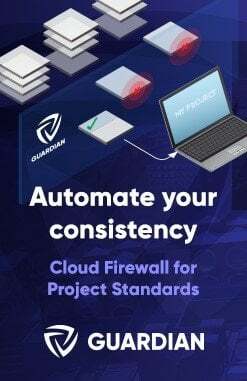 Let’s say you have inherited a multi-storey project that has been set up with Model Groups for Typical Levels – not necessarily a bad thing (see this post). There are a couple of things that do scare me a bit, like the fact that groups can break down after a long editing session, and that its not easy to find out which elements are excluded from which group instances. EDIT Here is an answer using Compare Models by Julien Benoit (note – Compare Models is a Subscriber only Extension, now available on Exchange here. You will need to login). After installing Compare Models, you need to open two files. I opened a ‘live’ version and a detached version of the same model. 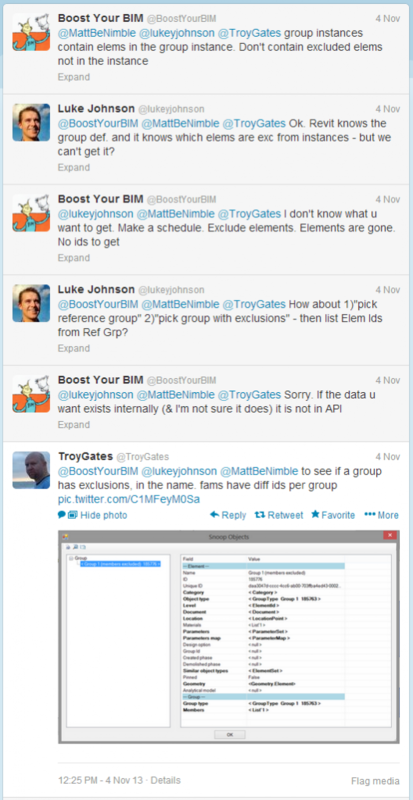 Go to Extensions – Tools – Compare Models. 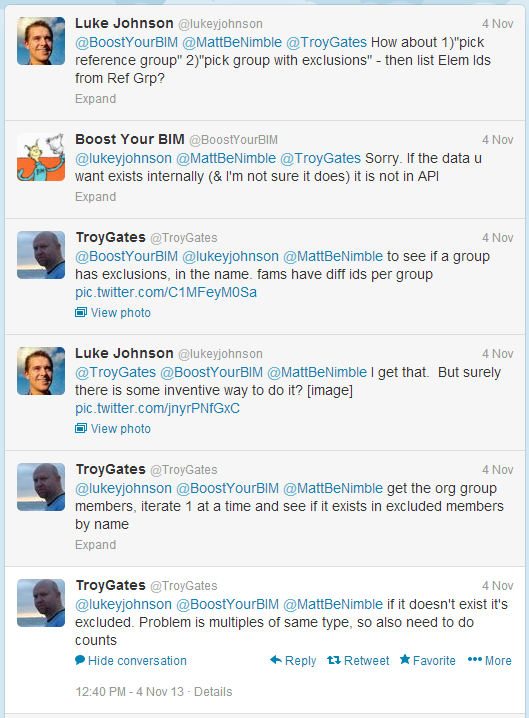 Wait for a while… you will get a list that shows you which Group instances have Members Excluded. 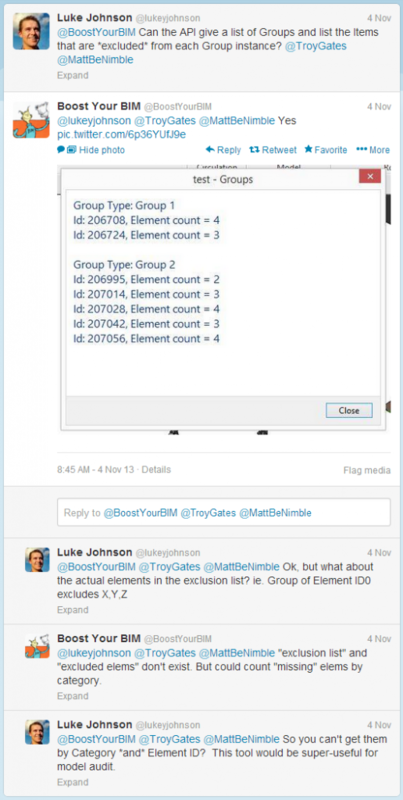 However, this method does not give the actual Excluded Elements, just the Group Instances with Exclusions. View Templates not behaving? 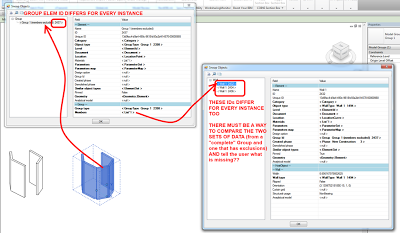 Use Create Template from Current View on a “good view” & *overwrite* problem View Template by using same name. 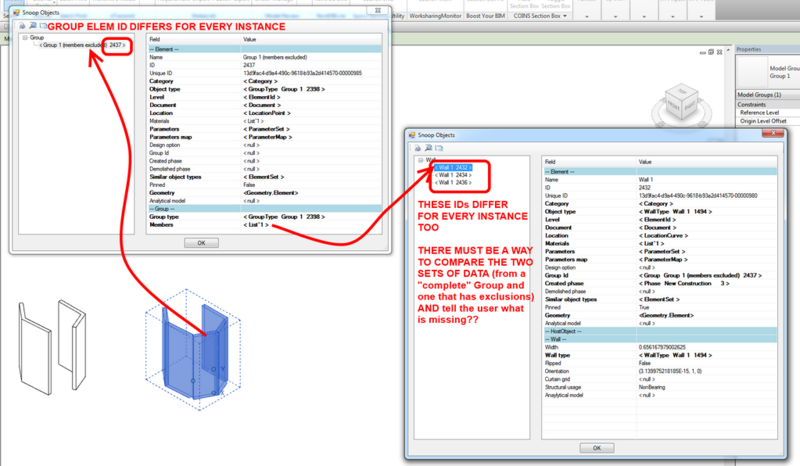 To duplicate a Not-Placed Room with all its parameter data fields, Place it and then Copy it, and then delete these placed Room elements. Trying to hide shadows from “below” your Topography line in Elevation? Try overriding the transparency of your Topo to anything (like 1%). Want to make a “lean” View Template? 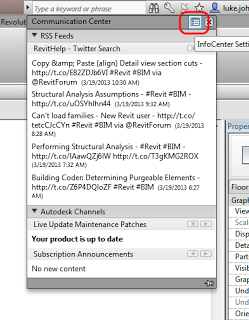 Make one based on a Drafting View, and then add some granular control using Filters or Design Options. You can temporarily use a Model Group to copy/paste and rotate elements: set the *group origin* = it is the paste placement & rotate point. 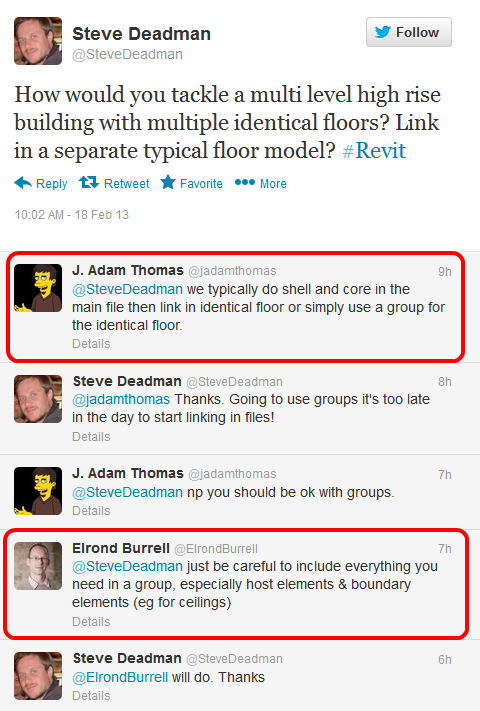 #Revit productivity – Set your Room Name in Properties *before* placing the Room, then drop Tag + Room in correct location in one click. To modify Structural Column height in a 3D view, switch to Slanted – End Point Driven, adjust using endpoints, then switch back to Vertical. 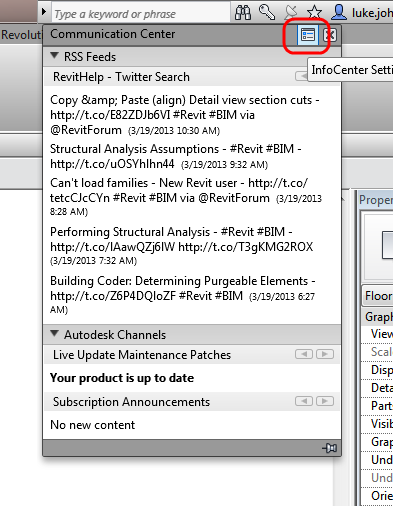 In #Revit 3D view Crop Region Size dialog, you can type an = sign and then a formula ie. =350*1.2 to quickly calculate new size. Wall by Face will work even if Roof by Face won’t – it is the more robust tool for complex forms. Remove paint from all walls in project: 3D view, Wireframe, Isolate Walls, Remove Paint tool, hover mouse – *only* Painted walls highlight. 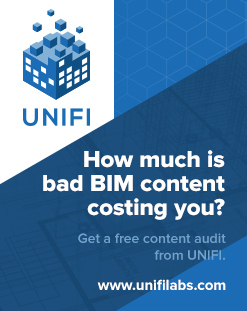 #BIM collaboration is like riding a bus – if you have a common destination in mind, its easier to initiate a meaningful dialogue. #BIM is easy to practice, but harder in practise.